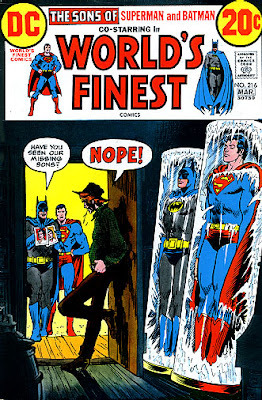 This may be hard to believe, but sometimes the comic book big shots have some really bad ideas for story lines. And sometimes they will even drag these bad stories out way too long. Something what should have been contained in a single issue, or perhaps even a single panel...or to a single piece of fanfiction...or not at all. Something like...The Saga of the Super-Sons. 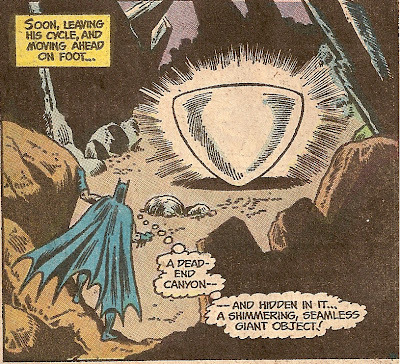 This is something that DC pulled out of their asses in the early 70s. 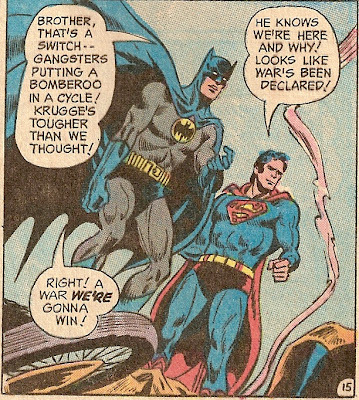 These two losers showed up in several World's Finest comics, ruining them for everyone. First of all, for the record, only one son is "super." The other is "bat." 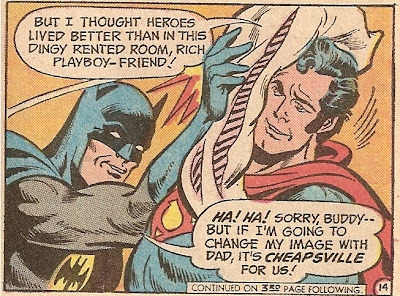 World's Finest Sons would make more sense, but would be a gross misstatement. There are only two ways to enjoy these characters. 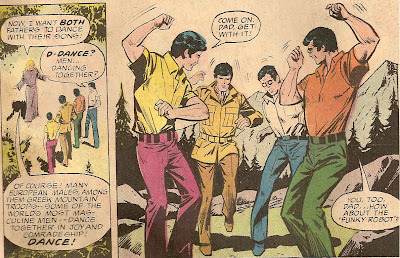 One, because in costume they look exactly like their fathers, you can pretend that the ridiculous things they say are actually being said by Superman and Batman. Two, you can focus on how totally and completely in love these two boys are. Oh, Bruce Junior. Such a hippy. Where did Bruce Sr. go wrong? 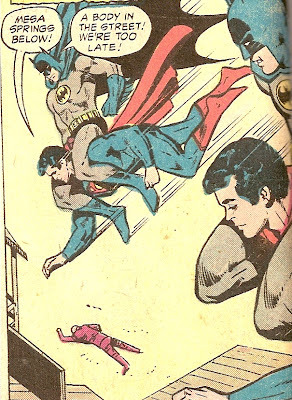 I'd like to point out that they are in the vicinity of some criminals that Batman just beat up. 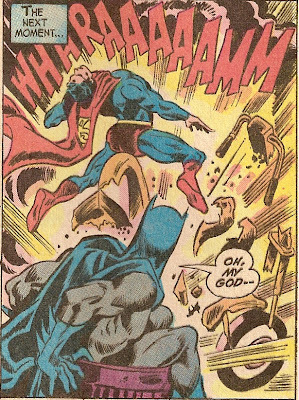 And while beating up these criminals, Batman exclaimed upon seeing his son, and I quote "Bruce...? My boy...Bruce?" Man I wish Batman would say "bomberoo" more often. 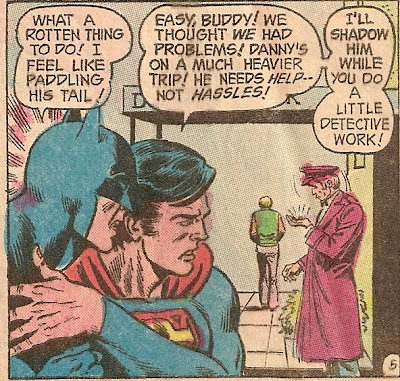 Oh, MY GOD is right, Bat-Son (also...you're in a garbage can). "Straight, eh? That's what he called me, hmm? Well, we'll just see about that!" Yeah...ok. Willing pupil, eh? Wait! Switching dads permanently?! That's not how life works! This story is so bizarre.